Deepika Padukone, Ranveer Singh and Shahid Kapoor starrer Padmaavat has enjoyed a good run at the box office. The Sanjay Leela Bhansali film broke several records in its first two weeks and now the movie is in its third week. Well, even after the release of PadMan, Padmaavat has been faring well at the box office. 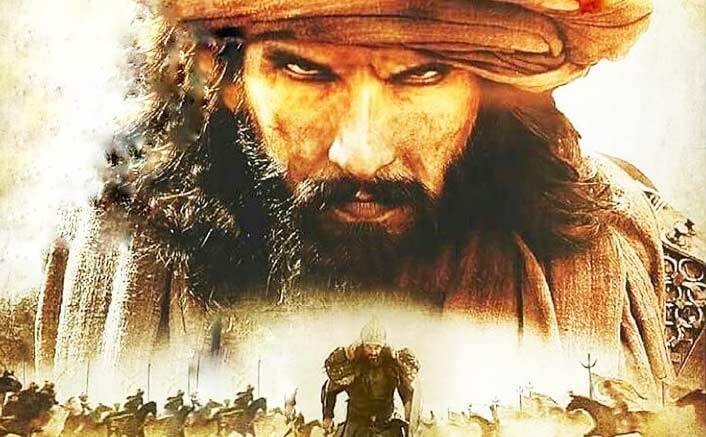 It will be interesting to see how will Padmaavat continues at the box office. The movie is enjoying its success at the box office. The movie has earned an amount of 254 crores nett (352.12 crores gross) in the Indian market whereas it has earned 120 crores (USD $ 118.89 million) at the overseas box office. The movie now stands with a grand total of 472.12 crores. Produced by Viacom 18 Motion Pictures and Bhansali Productions, Padmaavat hit the screens on January 25 in the shadow of protests by the fringe groups. However, beating all the odds, the film became a huge success, both critically and commercially. The film has been in the eye of a storm ever since the filmmaker began shooting in Jaipur. Several groups have been protesting against the film, alleging that the film distorts history and demeans the honour of Rajput queen, Rani Padmini. The movie stars Deepika Padukone as Rani Padmavati, who had performed jauhar after Alauddin Khiji invaded her fort. Ranveer Singh plays Khilji in the film and Shahid Kapoor plays Maharawal Ratan Singh, Rani Padmavati’s husband. The movie has been getting some amazing reviews and Not only the audience and critics, B-town veterans like Amitabh Bachchan, Rekha, Rishi Kapoor, Neetu Kapoor and Javed Akhtar have also sent their token of appreciation for Deepika’s power-packed performance in Padmaavat. The post Padmaavat Worldwide Box Office: Inches Closer To 500 Crore Mark appeared first on Koimoi.